Steam and water analysis system (SWAS) is a system dedicated to the analysis of steam or water. In power stations, it is usually used to analyze boiler steam and water to ensure the water used to generate electricity is clean from impurities which can cause corrosion to any metallic surface, such as in boiler and turbine. SWAS stands for Steam & Water Analysis System. This system is useful for Power Plants that run on steam. The quality of steam that is used by these power plants is of utmost importance – it is like monitoring cholesterol in human body. Various contaminants that might exist in steam can prove very harmful to the turbine, to the boiler, to the piping etc. SWAS effectively monitors these parameters (such as pH, Conductivity, Silica, Sodium, Phosphates, Dissolved Oxygen etc.) and thus helps in maintaining healthy operation of a power plant. In all power plants in India that work with more than 90% efficiency – you will always find a well engineered, well maintained SWAS. 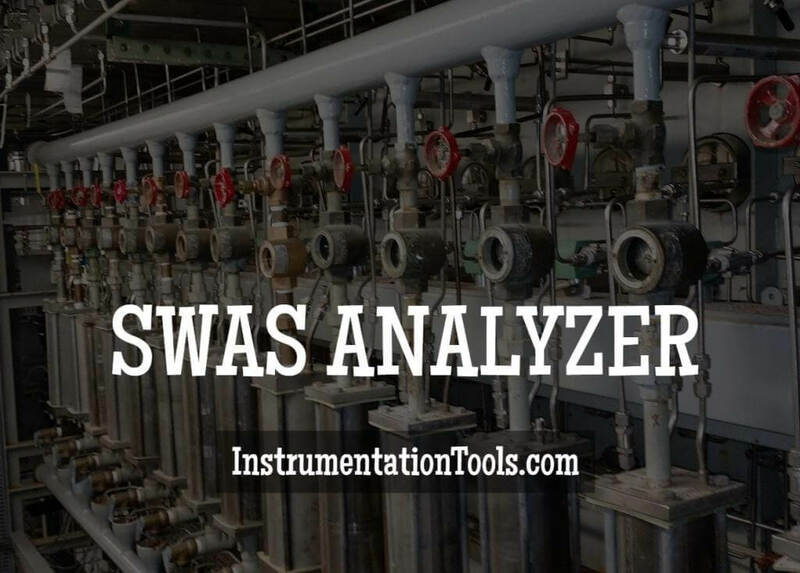 (B) an analyzer panel where all the on-line analyzers are located. The sensors of these analyzers receive the sample conditioned by the sample conditioning system and send signals to analyzers. The analyzers in turn send these signals to respective parameters in 4 to 20mA signal which is finally delivered to the plant DSC or PLC. In any power plant running on steam, the purity of boiler feed water and steam is absolutely crucial; especially to steam turbine, steam boiler, super heater, condenser and other steam equipment. To prevent damage of steam turbine, steam boiler and other apparatus due to scaling and corrosion, on line steam and water analysis of critical parameters such as pH, Conductivity, Dissolved Oxygen, Silica, Sodium, Phosphate etc. is a must. The steam can be as hot as 560ºC. The pressures can be as high as 250 bar. To keep the power plant up and running, with minimum erosion and corrosion of steam turbine, steam boiler and condenser, we have developed fully integrated Steam and Water Analysis Systems (SWAS) that provide exact, precise measurements on all these critical parameters. A good SWAS necessitates efficient sample cooler for water sampling, steam sampling or process sampling problems. What do the standards generally say about the important components of SWAS? This should be preferably a coil-in-shell type of heat exchanger that provides contra-flow type of heat exchange. It should achieve an approach temperature within + 50 C.
The pressure drop on the c.w. side should be minimum. Should have necessary blow-down arrangement for the coolant for periodic maintenance. There should be provision of shell relief valve on the cooler itself. This should provide not only pressure reduction but pressure regulation also, irrespective of upstream fluctuations. Especially at low flow rates or low inlet sample pressures, the PR should still give regulated output. If the pressure reducing device is not capable of doing so, it is possible that some of the analyzers will starve, which defeats the purpose of having a sampling system. The pressure regulator also should provide tight shut-off if downstream blockage arises. The pressure reducing device should not have large dead volume in the body which can entrap particulate and other species, causing ionic exchange and degradation of sample and therefore leading to incorrect readings. What can happen if you don’t have SWAS? Do you know that 50% of forced power plant shutdowns can be attributed to impurities and other cycle chemistry problems? A well designed SWAS package directly attacks these problems. People with good knowledge, experience and expertise prefer on-line monitoring of all the necessary parameters involved in plant cycle chemistry. You will always find a properly maintained SWAS in all power plants that are running at 95+ PLF / PAF. Is SWAS mandatory in Thermal Power Plants ? The very reason to have SWAS package in a thermal power station is to have a constant watch on problems associated with corrosion, impairment of heat transfer, dosing optimization, plant effluents, scaling, boiler blow down etc. It is important for the health of a power plant. Where SWAS is used ? Anyone who is using steam for his or her process and the quality of steam is critical, one should look for SWAS to provide a good solution. Apart from Power industry there are many other industries which are dependent on quality of steam for their end product. All these can benefit from SWAS. Why do sample coolers fail? If the chloride content of cooling water is high as per cooling water specifications (i.e. more than 35ppm), we don’t recommend use of SS316 material for sample cooler coil. The reason being, sample steam entry is at a higher temperature and pressure. In such cases sample coil may be subjected to inter-granular corrosion resulting in stress corrosion cracking. Due to high hardness of cooling water there is formation of sludge and scales on sample cooler coils causing the above problems. Failures in the coil are characterized by a thick wall, brittle-type crack. This may be found at locations of higher external stresses, such as near attachments. SCC is most commonly associated with austenitic (stainless steel) materials and can lead to either transgranular or intergranular crack propagation in the tube wall. It occurs where a combination of high-tensile stresses and a corrosive fluid are present. The damage results from cracks that propagate from the ID. Use of special material like Inconnel 625 reduces formation of non conductive layer, but, it cannot avoid it 100%. DM Water is recommended for use as cooling water. All coils in our coolers are removable – so if there is damage, you don’t have to replace the entire cooler – just coil replacement is possible. The shell is removable without the need to dismantle the sample cooler. This facilitates cleaning of coils in a very simple way. For routine maintenance, a drain plug is provided at the bottom of the shell. This facilitates quick cleaning of the shell, as the mud / sediments settled at the bottom can be easily removed.